Jimmy Doolittle received the Mackay Trophy for his Schneider victory. Jimmy Doolittle and Cyrus Bettis received the Mackay Army Aviation Trophy for their victories in the Schneider and Pulitzer races. Their names are inscribed on the trophy, and both received an individual medal. This one was given to Doolittle. Photo by Eric Long, Smithsonian National Air and Space Museum (NASM 2009-30582). 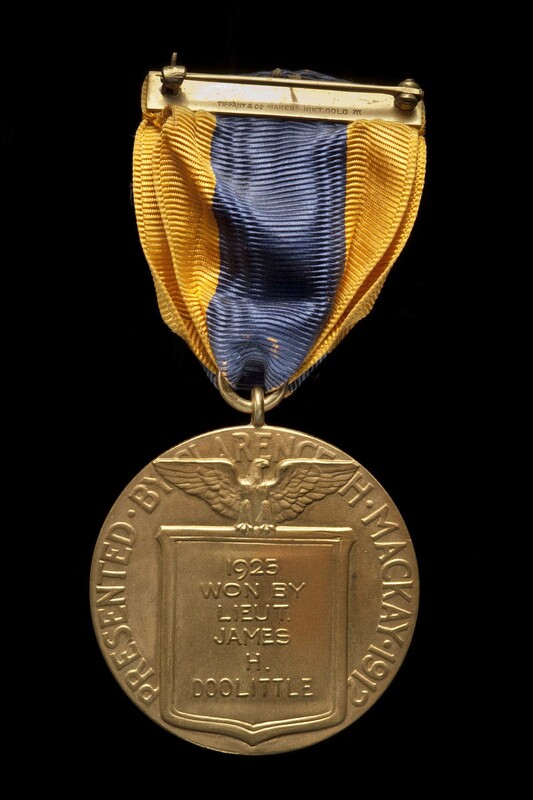 Find out more about Mackay Army Aviation Trophy Medal (Back).